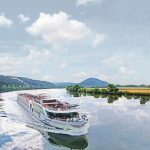 Surging demand from solo travellers has prompted five-star river cruise line, Riviera Travel, to add a further three cruises to the five previously announced to make a record eight cruises exclusively for solo travellers in Europe in 2019, with all cabins free of single supplements. This is a 167 per cent increase on the three solo-only cruises offered this year. * a seven-night cruise on the Rhone and Saone Rivers from Lyon to Avignon in France on October 31, 2019. * two seven-night cruises from Porto on the Douro River, Portugal, on March 29 & 31, 2019 – both fully booked. Although a relatively new brand to Australians, Riviera Travel was established in 1984 in the UK and has since garnered a large customer base with its authentic and enriching holidays that offer superb value for money. The company is consistently recognised by the travel industry and consumers for outstanding quality, service and value. 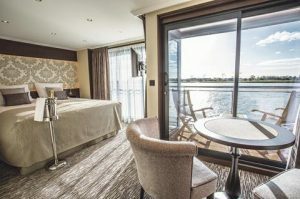 Riviera Travel’s International Sales Manager, Thomas Morgan, said the solo cruises address a gap in the market for people who wish to enjoy a river cruise but are travelling on their own or simply prefer to have a cabin to themselves. Fares start at A$2769, are subject to availability and include daily guided excursions, onboard meals and Wi-Fi.